In preparing for our travels to Arizona, we contacted Keith’s cousin, Elaine and her family to see if we could get together sometime as we hadn’t seen each other in several years. After a conference, we decided that schedules and logistics made Prescott a good halfway point and with good food and entertainment for both the young and not-so-young kids. We started our day as we had all of them since arriving in Arizona, by sleeping in and then having breakfast at the hotel. 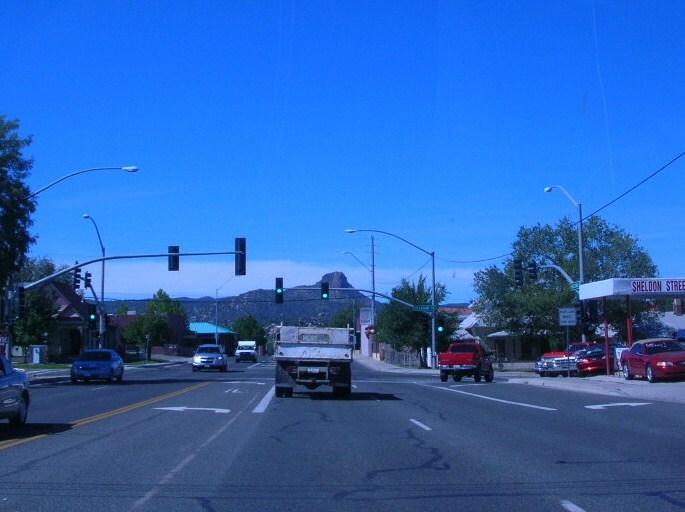 We got into the car and headed down the interstate for Prescott. By the way, the “locals” pronounce it PRES-cot with the emphasis on the first syllable. The ride along and from the interstate was desert and rock formations and pretty typical for what we’d been seeing. As we neared town, the landscape changed to a more typical suburban landscape with strip malls and the standard chain stores with a Walgreens, RiteAid or CVS on virtually every corner. 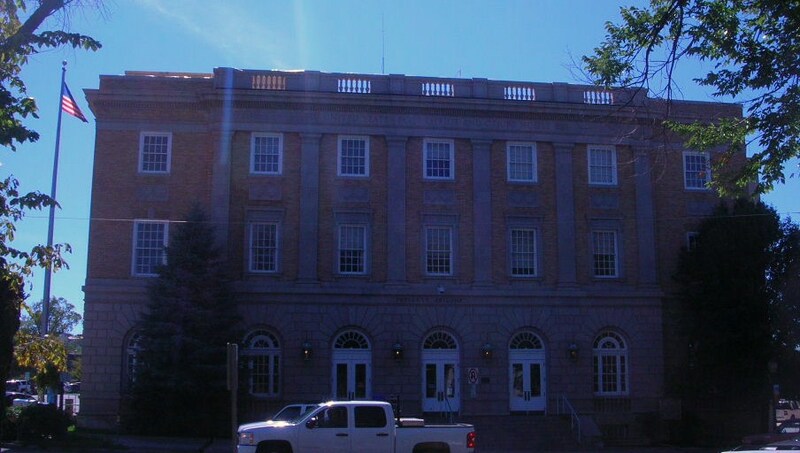 Prescott central was built around a square with the courthouse in the center and the US Post Office and Federal Courthouse right across the street. Since we arrived before we were scheduled to meet Elaine and family, we spent a little time checking out the square and downtown. We found the timeline in the concrete sidewalk particularly interesting. 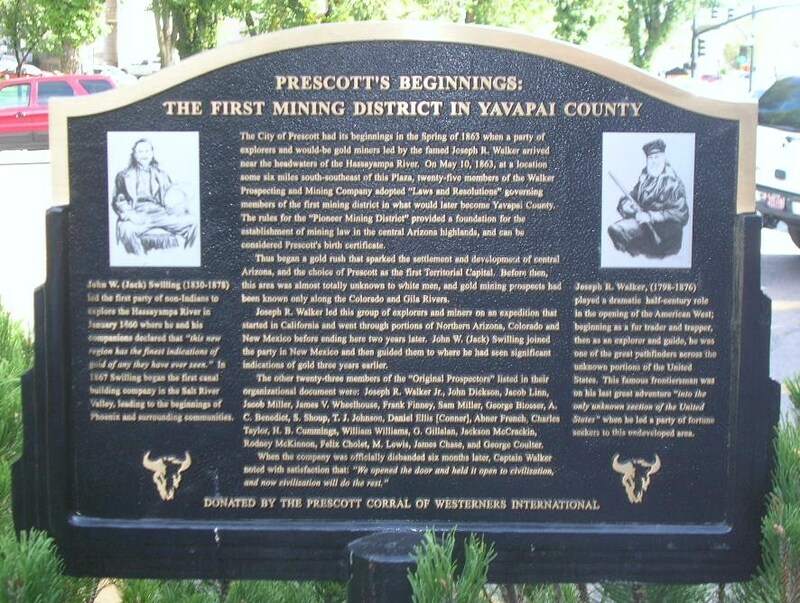 It traced the history of Arizona for the past 200 or so years. 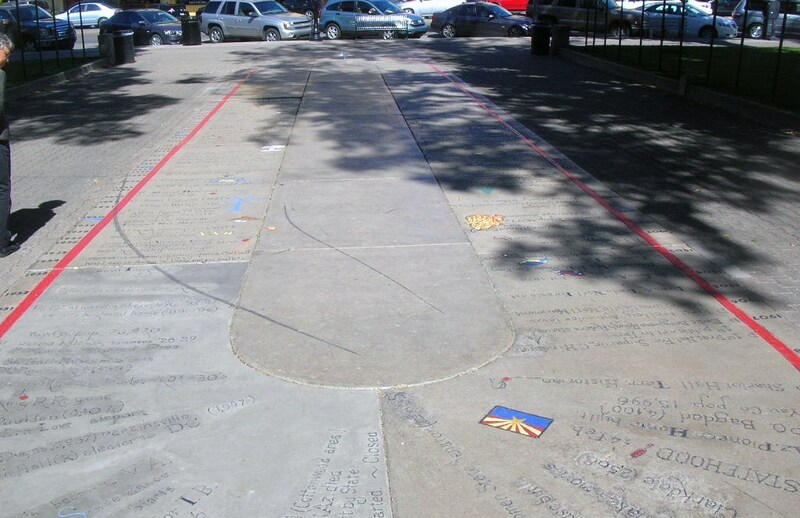 The timeline only covered that part of Arizona’s history since that is the history of Arizona as territory and state. Quite a contrast to Maryland’s Lord Baltimore and the Calverts from the 17th century. I wonder if their fourth graders appreciate that there is less state history to be covered? 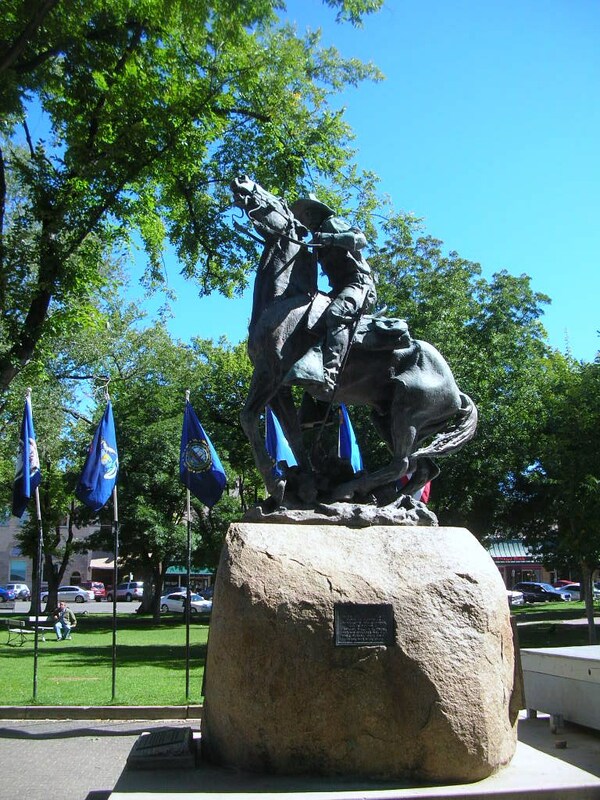 Erected in 1907, this statue is considered one of the finest equestrian sculptures in the U.S. and honors members of the First U.S. Volunteer Cavalry of Teddy Roosevelt’s Rough Riders who gathered at the plaza on May 4, 1898, before heading to San Antonio at the onset of the Spanish-American War. 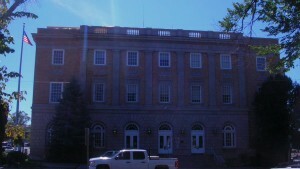 The courthouse has been rebuilt several times, most recently in 1916. 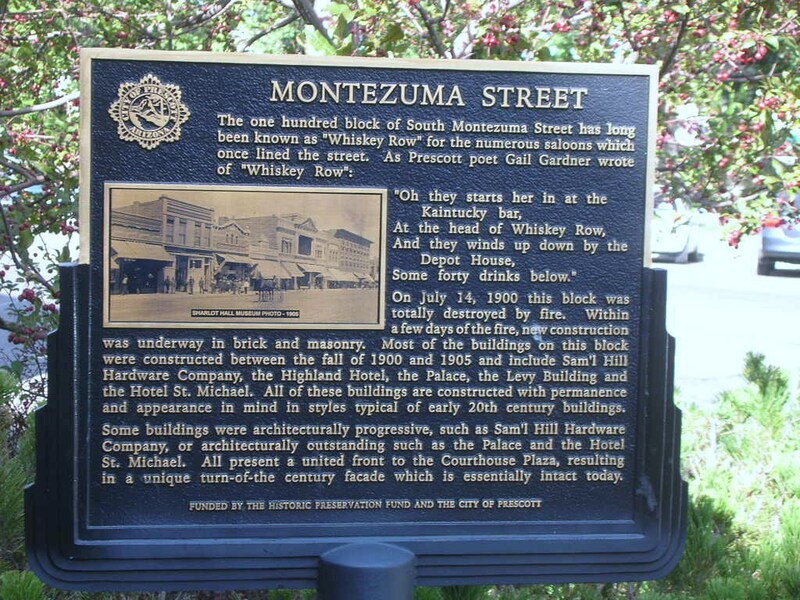 The entire downtown area has a history of extensive fires and rebuilding. 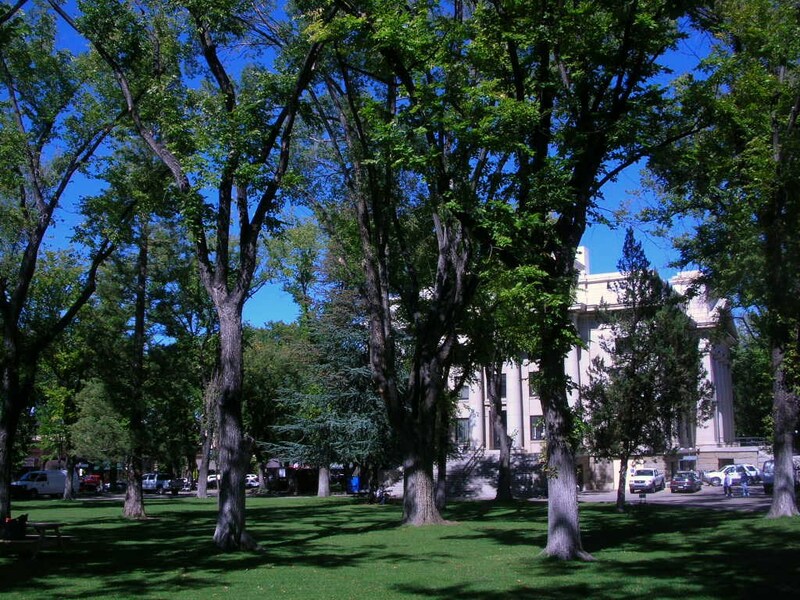 It’s listed on the American Register of Historic Places. Barry Goldwater (remember him?) announced his candidacy for President from the courthouse steps in 1964. One of the more unusual statues depicts a cowboy and his horse with the cowboy lying on the ground with his bedroll. The courthouse plaza is well-used during the midday by joggers and walkers as well as those folks just having a seat and watching the world go on by. 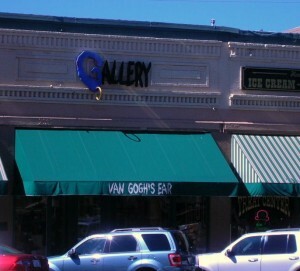 This gallery wins kudos from us in the category of Clever Names that Fit. We were to meet at the Palace in Whiskey Row. On a summer night in 1900, this block was totally destroyed by fire. The liquor was removed and carried across the street as they fought the fire. 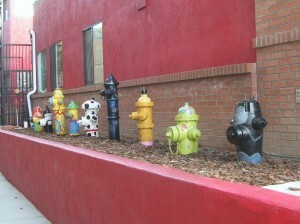 The story is that the firefighters dumped water on the fire then crossed the street to sample the liquids they’d saved. Within a few days of the fire, new construction was underway in brick and masonry. 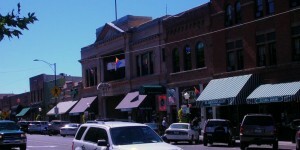 Most of the buildings on this block were constructed between the fall of 1900 and 1905. 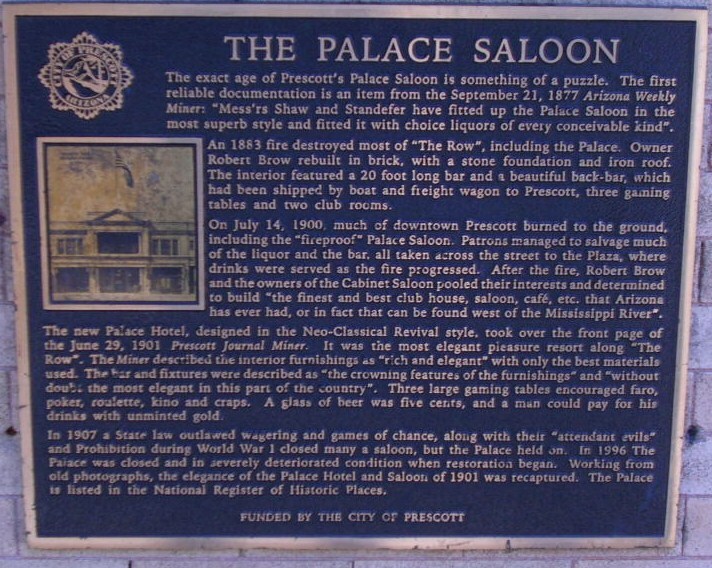 Most of the color and stories of Prescott originated in this one block landmark that still celebrates that fact that it once hosted over 40 saloons. We were waiting on the street when Elaine and family arrived. We directed them to the parking garage where we had parked and waited until they returned on foot. 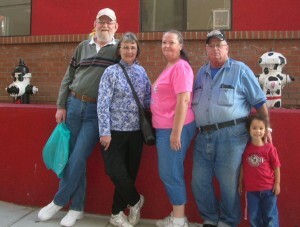 Along with Elaine were her husband Frank and their daughter Brenda with her four children, Erin, Eric, Ethan, and Emily. Brian and Kathy and their son were unable to join us this time. 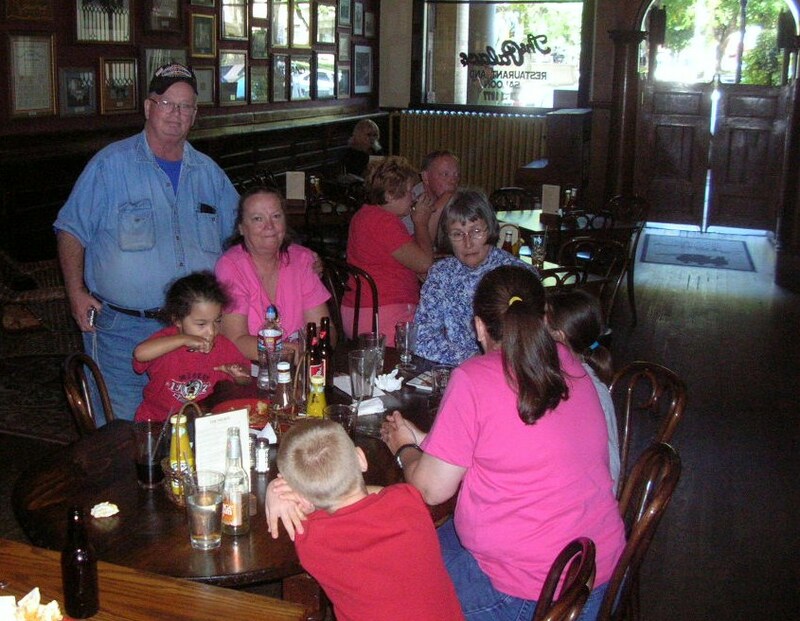 We had a nice lunch at the Palace where one of the descendants of Wyatt Earpp was walking around visiting. We didn’t get a picture with him though. 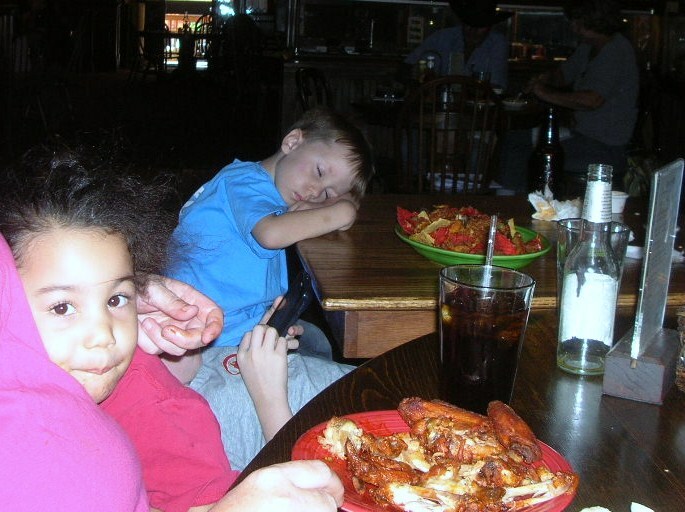 I have a word or two for those of you who pause at the thought of four children aged 3 to 11 at lunch. Whatever Brenda is doing to raise those four, she is darned well doing right. The children were well-behaved and polite and watched out for each other. If these four are typical of today’s generation of young children, there is hope for the world. When we went walking around after lunch, the kids were where they belonged and said they’d be and considerate of each other and those around them. 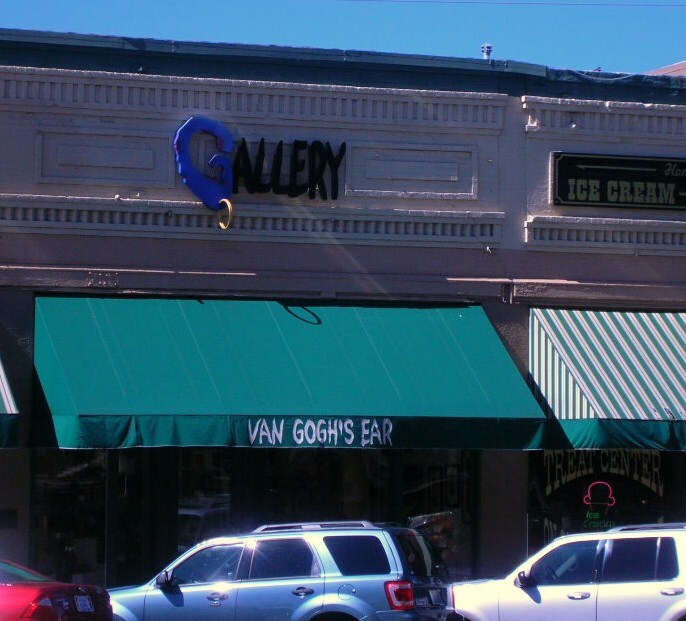 After a leisurely lunch where we had a nice visit, we walked around downtown Prescott and checked out the specialty stores. Keith bought a hat appropriate for touring and cooler weather. Frank bought ice cream for all who wanted one. Frank and Keith were sitting on a streetside bench outside the pet supply store when a lady and her dog walked by. Apparently the dog was a lap dog and Frank’s lap looked good as the dog just jumped right up and made herself at home. It was a surprise and was good for a smile from all. Eventually our visit time came to a close and it was time to say goodbye so we walked back to the cars (Frank and Elaine had just bought a new one and it had DVD players for the passengers. Nice VW van.) We posed for a picture or two then headed back towards home and hotel. Betty and Keith had a light dinner at CoCo’s in Flagstaff. It had been recommended by another airplane passenger on the way from Baltimore. The soup and sandwich were tasty and hit the spot. After that, we crossed the street back to the hotel for emails, postcards, showers and to bed. 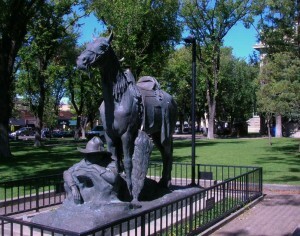 This entry was posted in Arizona trip and tagged Arizona, courthouse, family, Flagstaff, friends, GPS, Palace, Prescott, statue, travel, Whiskey Row by Keith. Bookmark the permalink. Thanks a bunch for the tips, and the webpage certainly looks wonderful. Just what word press design are you using?